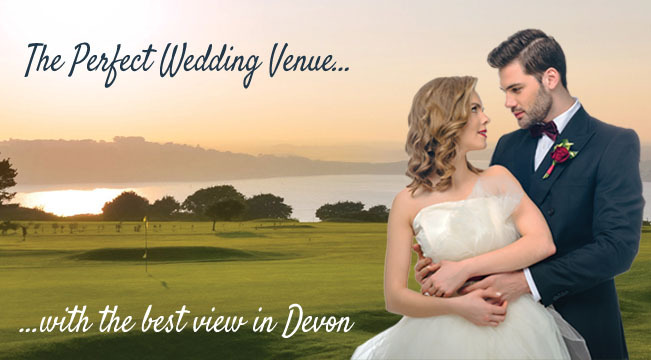 There are few West Country Wedding venues to compete with the views from Staddon Heights. Your guests will have a real treat and you will have some stunning photographs of your special day. We have a well-furnished and comfortable clubhouse, which can be adapted to accommodate parties up to 120 for a sit down meal and 150+ for a Standard, Luxury or Cold Meat Buffet. We also have the smaller Centenary Room which is ideal for smaller groups of up to 50 people. 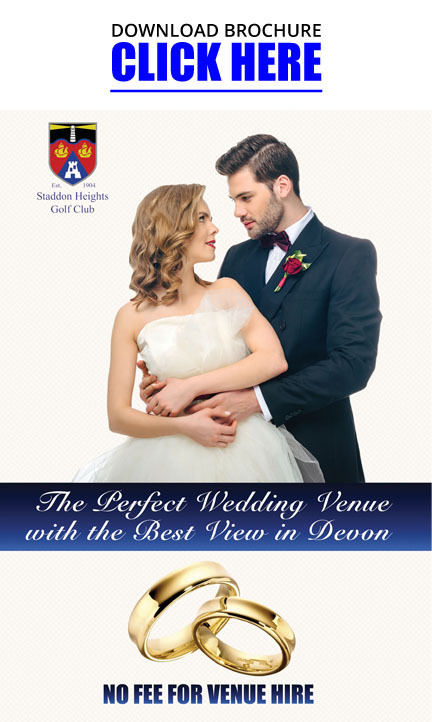 There is a built in dance floor and Staddon Heights Golf Club can also take care of all your entertainment requirements from DJ's to live bands and even table entertainment. Alternatively, you are welcome to organise your own entertainment. As one, they will duet through life, singing their song as husband and wife. As they each face challenges over time, they will take it in turns to grow and shine. Holding hands, the whole way through, teaching each-other what to do. And when it doesn't turn out perfect, they will remind each-other their attempts were worth it. And now we wait excitedly, to hear what the tune of their wedding will be. Today will be full of the rhythm and soul, of a love that sets a whole new goal. When times are hard and not so fun, this date will be theirs to look back on. Memories that will be shared and retold, for the bride and groom they will never grow old.